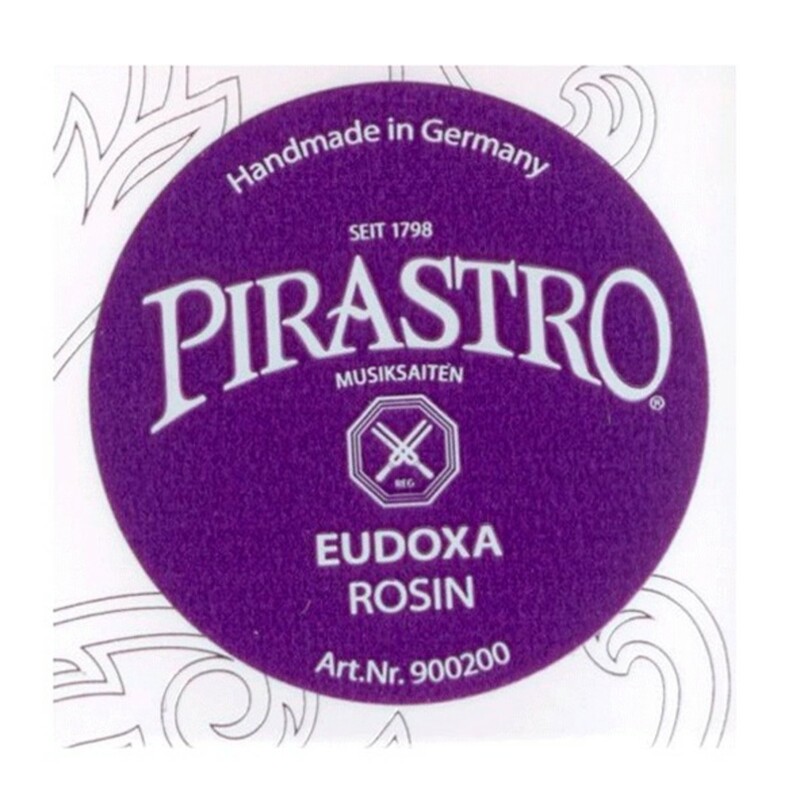 The Pirastro Eudoxa violin or viola rosin is a softer rosin which has been manufactured to suit Pirastro Eudoxa and Chorda gut core strings in order to maximise the potential of the instrument. This premium rosin gives the performer complete control of the bow, helping with tone and ease of manipulation. Pirastro tailor rosin to particular strings, and the Eudoxa rosin has been engineered to work alongside Pirastro's Eudoxa and Chorda gut core strings. A high quality rosin allows for perfect bowing without scratchy sounds, especially if only a thin layer is applied. Violinists and violists tend to use a harder rosin, whereas cellists tend to use a medium or softer rosin. The Eudoxa series has an even, balanced thickness to provide a high standard for gut core strings. The Pirastro Eudoxa rosin will complement your synthetic core strings to create a classic, effortless tone.